Learn Dates and Fees for the A' Design Award and Competitions from one of the links below. Please be reminded that A' Design Award & Competition requires a nomination processing fee / payment for active participation in the competition. However, unlike other design award and competitions there are no further fees for winners' services: All the services for winners; including exhibition, book and the winners' packages are provided free of charge to award winning designers. To learn both the dates and the fees, click on the Application Periods and Fees section. We also provide a page where we display the average cost of winners for us here; these costs are partially covered by the nomination fee payments made by participants. To check the current competition period, you could refer to the past, current and next edition page. Alternatively, to view a very detailed calendar, please click here. For multiple-nominations, we provide nomination packages which provide bulk discounts, there could also be some discounts or active offers that could be available through the campaigns page. The A' Design Award & Competition Nomination Fees are calculated based on four factors: Account Type, Preliminary Score, Competition Entry Period and Competition Entry Type. The combination of these factors create more than thousand different possibilities, therefore we have created a calculator that lets you calculate the cost of nomination. As always, please remember that there are no further fees. 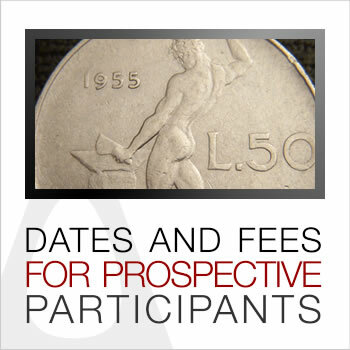 Learn the concurrent application periods and relative fees for the competitions. Learn the deadlines and current status of the competition in an easy way by visiting this page. Tips: For further information regarding any payments, including different payment possibilities and instructions please visit the payments page. If you are looking for Entry or Nomination Fees, please click here. Please refer to our refunds policy for any payments regarding the competition. Laureates of the A' Design Award & Competition will be invited to join the La Notte Premio A' - The Exclusive, Glamorous Black-Tie A' Design Award & Competition Gala-Night and Award Ceremony. Above the expected gala night date and value is shown but please wait for our official email and invitation before buying any plane tickets. The best time to enter and submit your works to the A' Design Award & Competition is now; benefit from the complimentary Preliminary Evaluation and Checking Service. Learn in advance how well your design will work.